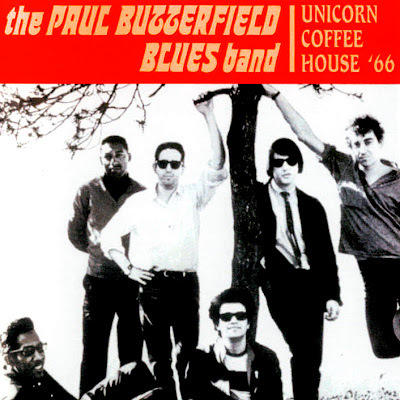 Paul Butterfield was the first white harmonica player to develop a style original and powerful enough to place him in the pantheon of true blues greats. It's impossible to overestimate the importance of the doors Butterfield opened: before he came to prominence, white American musicians treated the blues with cautious respect, afraid of coming off as inauthentic. Not only did Butterfield clear the way for white musicians to build upon blues tradition (instead of merely replicating it), but his storming sound was a major catalyst in bringing electric Chicago blues to white audiences who'd previously considered acoustic Delta blues the only really genuine article. His initial recordings from the mid-'60s — featuring the legendary, racially integrated first edition of the Paul Butterfield Blues Band — were eclectic, groundbreaking offerings that fused electric blues with rock & roll, psychedelia, jazz, and even (on the classic East-West) Indian classical music. As members of that band — which included Michael Bloomfield and Elvin Bishop — drifted away, the overall impact of Butterfield's music lessened, even if his amplified harp playing was still beyond reproach. He had largely faded from the scene by the mid-'70s, and fell prey to health problems and drug addiction that sadly claimed his life prematurely. Even so, the enormity of Butterfield's initial impact ensured that his legacy was already secure. Hello. Would you please re-up this Butterfield Blues Band? Let us know if you are still here. Thanks for your feedback. Everything is fine, thanks a lot for asking! Had a short break for holiday... Best wishes!